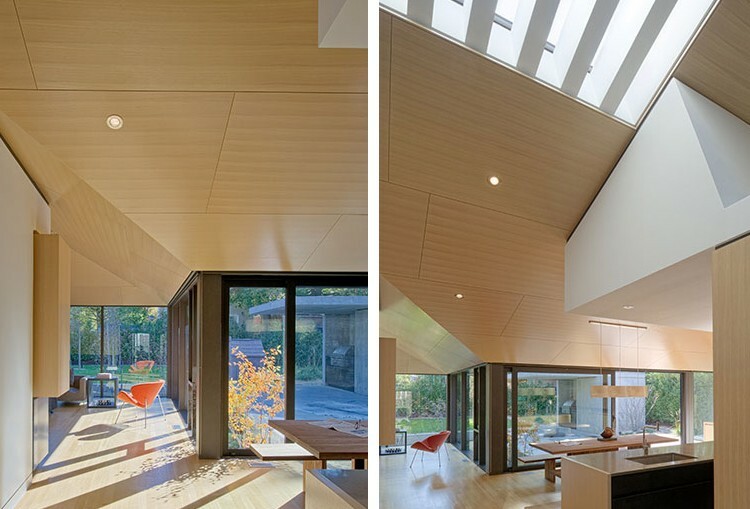 This modernist transformation and expansion of a 2500 sq.ft. conventional bungalow was done in partnership with D’Arcy Jones Design. 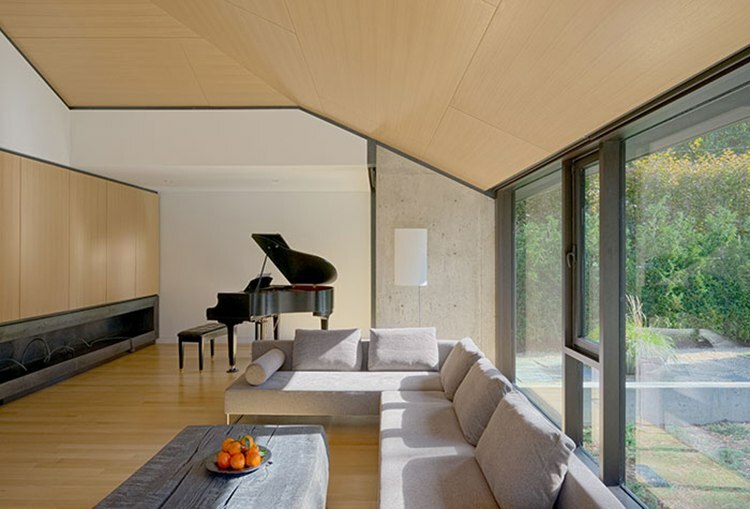 The most dramatic changes came from altering the roof framing to create long sloping spans and opening up the walls to allow for wider full height windows. 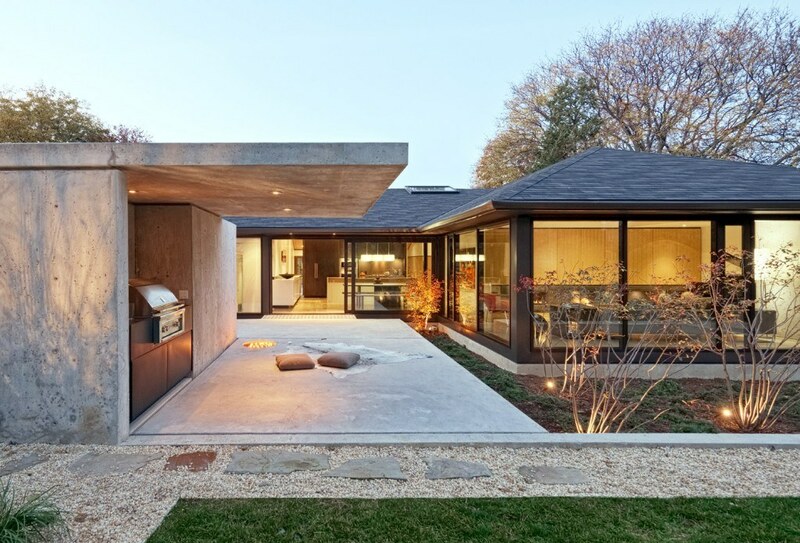 Details such as new skylights and exposed concrete walls were added, and two new components were added: a distinct cantilevered car port floating above the driveway and a pool cabana.